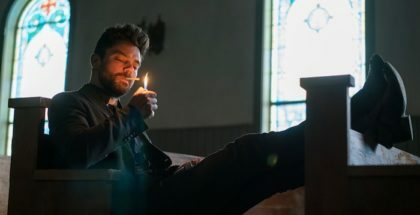 A satisfying conclusion to Season 3 proves that Preacher is truly sacred. Warning: This contains spoilers. Not caught up with Preacher? Read our spoiler-free review of Season 3’s opening episodes here. 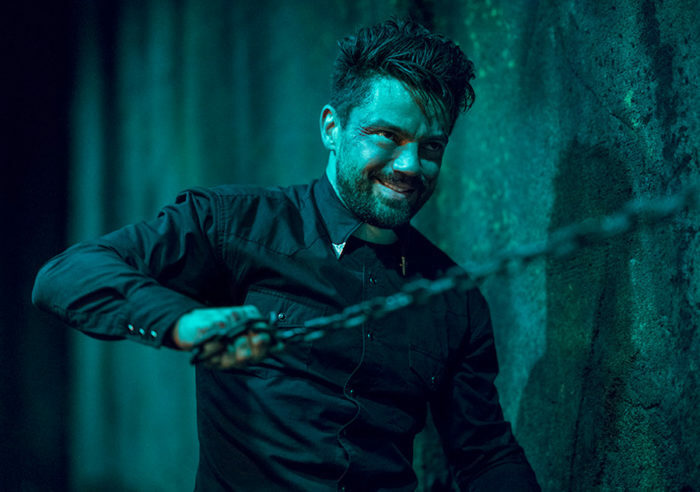 Preacher’s third season finale pulls out all the stops, comfortably wrapping up a season centred around family, revenge, and Gods dressed as dogs. The Light Above does an impressive job of concluding Jesse’s stint in Angelville, with just enough backstory to give some real satisfaction, while also ensuring that vengeance isn’t the only emotion available for those who want to mourn the larger-than-life characters Jesse leaves in his wake. Preacher’s shining triumph this season is that it manages to become more than a comic-book adaptation. It manages to retain all the chaos, surreal gore, and jaw-dropping weirdness of Garth Ennis and Steve Dillon’s original work, but utilises Sam Catlin, Seth Rogen, and Evan Goldberg’s screenwriting mastery to balance the carnage with a level of emotional connection often absent from adaptations. The collective effort of cast and crew is very easy to recognise amongst the severed limbs, personified deities, and supernatural reckonings. Having been inadvertently rescued by Nazis (complete with MAGA baseball caps), Tulip is forced to once again confront a riddle-happy and self-praising God, while Eugene comes face-to-face with an over-satisfied Prince of Darkness. A smart turn for Graham McTavish’s relentless killer ensures that his odd partnership with Eugene may continue into Season 4, while ‘Hilter’ finds himself getting a worrying promotion. Episode 10 moves fast, but rarely at the sacrifice of any wit, surprises, or powerful moments. 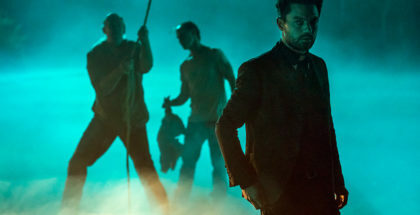 In fact, Preacher’s odd pacing goes hand-in-hand with the odd characters, storylines, injuries, weapons, and so on. Humorous smash cuts contribute to a few of the best moments this season, keeping the brilliantly blasphemous show close to its comic roots. 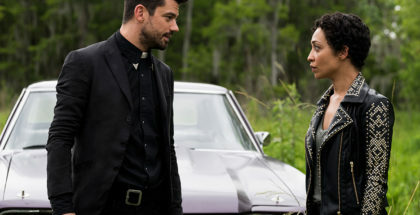 Ending on a scene as mind-boggling as required in a show so unhindered by reality, Preacher’s third season is a resounding success, and a real win for video on-demand in general – had AMC (with Amazon Prime Video’s support) not gone ahead with the star-studded religious epic, it seems unlikely BBC Four would’ve saved the day. 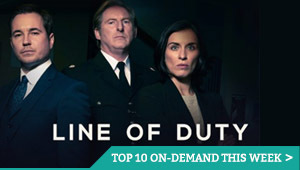 Packed with lunacy, and frankly indescribable to those who haven’t seen it, television doesn’t come more unique, more edgy, or less holy than this. Preacher Season 1 to 3 is available to watch online in the UK exclusively on Amazon Prime Video, as part of a £5.99 monthly subscription.